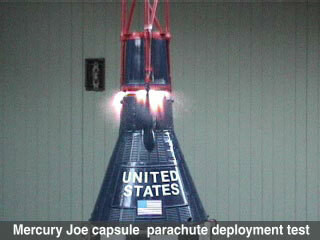 First testing of changed capsule nose ejection charge position. Originally I had it above the chutes but because of the results from flight 1a, I decided to put it below the chutes. This increases the chance the chute will be deployed even if the nose cap comes off prematurely. 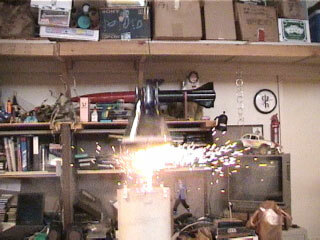 First test firing the ejection charge with the tower still in place. 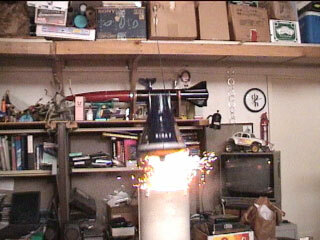 This is to verify that the tower will be blown free if stuck as in flight 2b. 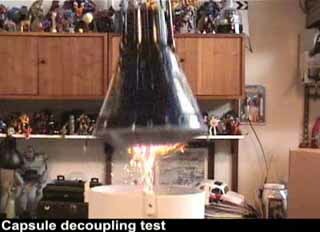 Stuffed PVC with "dog barf" wadding to see what effect it might have on the flame.